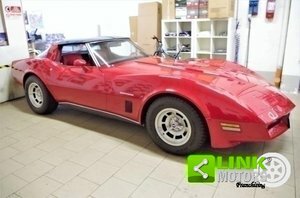 L82, 4 speed manual transmission, 12,999 miles on dash, saddle interior, power steering, power brakes, power windows, tilt and tele steering column, AM/FM/CD player, rally wheels, dual exhaust, Hurst shifter, and much more. 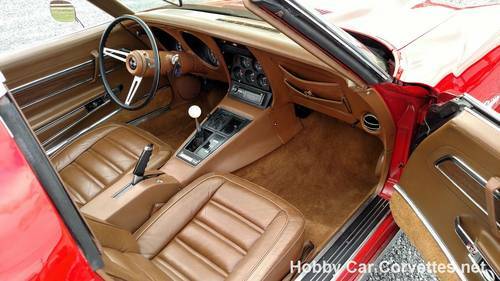 This corvette has a built 350 motor with approximate 400Hp installed. 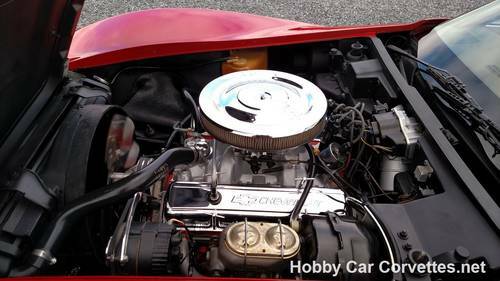 The engine has 2.02 heads with angled spark plugs, roller rockers, Edelbrock Performer RPM aluminum intake, Edelbrock carb, aluminum water pump, blow proof bell housing, full length ceramic coated headers, billet pulleys and much more. 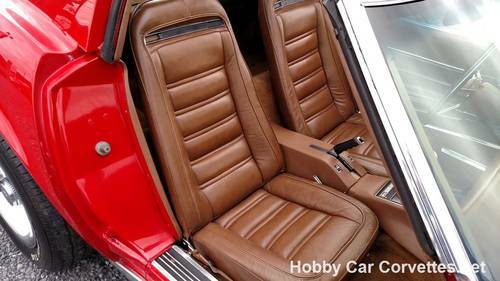 The interior has had seat covers, carpet, and door panels replaced. 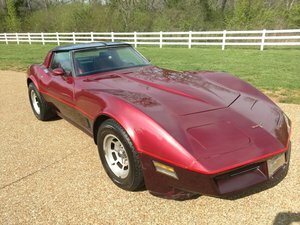 The front bumper was replaced with fiberglass when they repainted the vette. We replaced the right front caliper, checked and lubed the chassis, and changed the oil and filter. 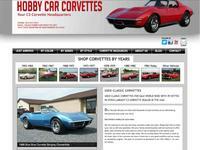 This corvette runs and drives really strong with plenty of power. It's going to make someone a really fun one to cruise around in. 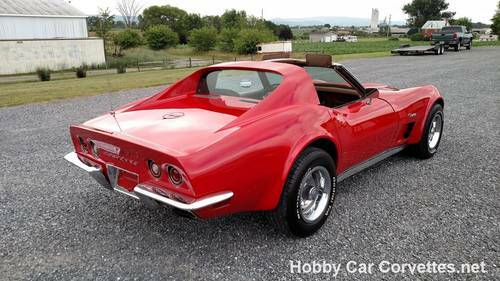 1973 marked the end of the chrome bumper corvette era with rear chrome bumpers replaced by a rubber bumpers in 1974. 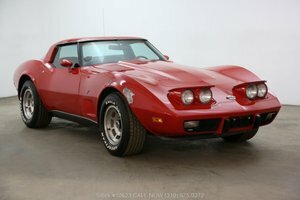 The 1973 was a one-year-only body design. 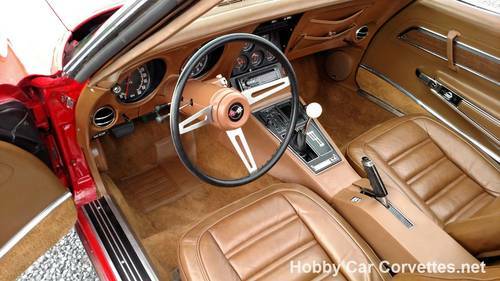 GM also did away with the vacuum operated wiper door this year in favor of a longer hood to hide the wipers, and dropped the removable back window in favor of a glue-in window. 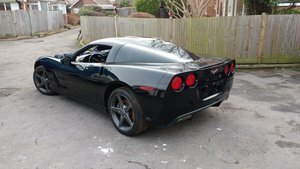 This corvette c1 in perfect condition almost full restoration.Black/black with white top. 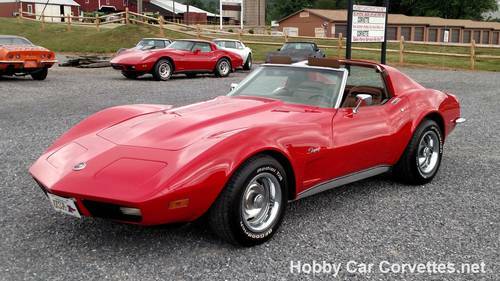 Chevrolet Corvette convertible 1974 real beauty!